Polyak Services, Inc. was founded in 1973 with one goal: to provide prompt professional chimney services to our customers in Ephrata, Morgantown, Denver PA, and all of Berks County. Our strong masonry background in chimney and fireplace building and repair, brick and block work, and brick, and stone pointing sets us apart from our competitors. 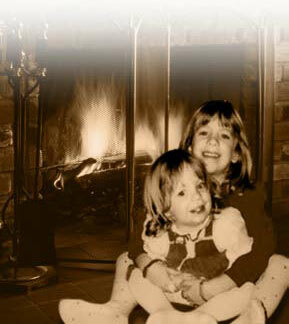 In 1978, we began our professional fireplace and chimney inspection, cleaning, and chimney relining services. In 2003, we introduced a professional residential and commercial dryer vent cleaning service. We utilize the latest technology and procedures to provide complete effective service. All of our trucks are cell phone dispatched for prompt service. Polyak Services partners with most of the major oil and gas heating companies and is often their recommended chimney service provider. We also network with many real estate professionals, insurance adjusters, and property managers throughout the area. With over 45 years of experience, our greatest assets are our dedicated employees and our valued customers. Please take the time to read what our customers have said about us. I'm certain you will see that customer satisfaction is number one with Polyak Services. Read testimonials. We maintain a clean, safe working environment. Our trucks are cell phone dispatched for prompt service. Our inspection services are thorough. We use the latest technology and procedures. We are dedicated to honesty and integrity. We are highly certified professionals. Safety. Teamwork. Friendly, respectful work environment.